– Santino Bernasconi, Centro de Amistad, Inc. When Santino Bernasconi received his fellowship, he served as president and CEO of Centro de Amistad, Inc., a community-based behavioral health agency involving Indo-Latino communities in empowering themselves to be healthy communities–physically, mentally, and spiritually. Mr. Bernasconi began working as an ordained deacon in Guadalupe in 1968 by assisting the Guadalupe Organization, Inc., to improve education for the Indo-Latino youth of Guadalupe. 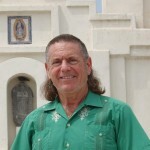 He also motivated community residents to vote to incorporate the Town of Guadalupe on February 4, 1975. Mr. Bernasconi chose three areas of focus for his fellowship: community leadership development, cultural competency, and program and economic development. He attended three conferences including the Industrial Area Foundation’s National Training, a ten day program in Baltimore; a three-week program at the Mexican American Cultural Center, where sessions focused on development of Latino leadership within Catholic parishes; and the national Nonprofit Alliance conference. He also visited a model program in Portland that provides a family approach to prevention and to children’s treatment. Chevy Humphrey began working at Arizona Science Center in 1998 as the vice president of marketing and development. At the time of her fellowship the Center featured more than 300 hands-on exhibits, a state-of-the-art planetarium, a five-story giant-screen theater, live demonstrations, traveling exhibitions, and science programs for people of all ages. She was named executive director and CEO in 2006. 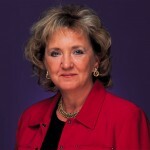 Before joining the Science Center, Ms. Humphrey served as the director of development for The Phoenix Symphony and held similar positions at the University of Houston, the University of Texas at Austin Performing Arts Center and The Houston Symphony. “My Piper Fellowship’s purpose was twofold. First, it was designed to enhance my executive leadership skills as well as increase my knowledge of exhibition conceptualization and development. Secondly, it was to prepare me to complete the final phase of my professional goal of becoming a CEO in the science center industry. “I attended an executive leadership-training course at Yale University’s School of Management, visited and studied at numerous science centers from across the country, and finished a two-week observation and internship at the Exploratorium. I returned to the Exploratorium for an additional two weeks to evaluate success of the project on which I worked. At the time of her fellowship, Mary Lynn Kasunic had been with the Area Agency on Aging, Region One for over 20 years and had served as its president and CEO for over ten years. She was instrumental in the development of many innovative and client-responsive programs to address the needs of the agency’s four major client populations: the elderly, caregivers of the elderly, adults 18 to 59 with disabilities and long-term care needs for people of all ages living with HIV/AIDS. Ms. Kasunic is the co-founder of the Maricopa Elder Abuse Prevention Alliance (MEAPA) and is dedicated to the prevention of elder abuse and domestic violence. She is especially dedicated to the continuing education of aging services professionals and the pursuit of excellence. “I spent five weeks visiting 21 Area Agencies on Aging throughout the nation. The exposure to similar activities in other parts of the country allowed me to view solutions through a wider lens, and then come back home and put the lessons learned into practice. “I hosted a two-day Leadership/Strategic Planning Retreat for 25 local leaders in the field of aging in Maricopa County. Attendees included five officers of the Area Agency Board and Advisory Council, ten Area Agency management staff and ten aging services community leaders. “The final component of my fellowship was attending the Center of Creative Leadership’s executive development program, Leadership at the Peak in Colorado Springs. I was one of 12 executives from corporations across the nation and from Israel and India. We spent 12- to 15-hour days examining various aspects of leadership. The entire week was insightful, not only from the classroom work but also from the experience of interacting with 11 corporate men. Ms. Searfoss was executive director of Big Brothers Big Sisters of Central Arizona during her fellowship. She grew up in Scottsdale and attended Coronado High School. She received her Bachelor of Science degree in sociology and psychology from Northern Arizona University and her Master of Sociology degree from Arizona State University. In 1972 at the age of 23, she became the executive director of Valley Big Sisters. The agency had two employees, a budget of around $11,000 and 30 matched volunteers and children. The Big Sister program grew to more than 300 matched volunteers and children, when the Valley Big Brother and the Valley Big Sister programs merged in 1986. “Big Brothers Big Sisters of Central Arizona had a strategic growth plan to serve five times the number of children in the next five years. The agency served as a Regional Development Center for Big Brothers Big Sisters of America and took on the project of redesigning a service delivery system to be implemented nationally. “One of our challenges was to implement a complete system change, manage the change and accomplish our growth goals. The second was to develop leadership within all levels of our organization. – Tamara Woodbury, Girl Scouts — Arizona Cactus-Pine Council, Inc. When Tamara Woodbury received her fellowship she had more than 25 years of experience in nonprofit organizations and was the executive director of Girl Scouts — Arizona Cactus-Pine Council, Inc., one of the largest Girl Scout councils in the country. The Arizona Cactus-Pine Council has been recognized nationally and locally for its innovative programs and business practices. Ms. Woodbury finds the time and energy to improve the quality of life for others locally and nationally. She has been a guest lecturer at Arizona State University and American University in Washington, D.C. Ms. Woodbury served as chair for the National Senior Management Conference for the Association of Girl Scout Executive Staff. In 1999, Arizona State University’s Office of Student Life recognized her as one of 18 “Women Making History Today: Portraits of Ordinary Women Doing Extraordinary Things.” She has won numerous other awards and recognitions. “I began my fellowship in Cambridge with Dr. Peter Senge and the Society of Organizational Learning at a three-day course, Foundations for Leadership. I also joined 285 people from 15 different countries at Kings College in Halifax for six days of learning, meditation and artistic practice. “I left Halifax and went to Boston to attend the Annual Meeting of the Society of Organizational Learning — Learning and Performing in Turbulent Times. I also spent nine days with Frances Hesselbein, who at the time was chairman of the Peter F. Drucker Foundation. “Throughout this fellowship, I enjoyed incredible experiences and learned remarkable things from some of the world’s finest and most respected leaders. But, it is the personal transformation that has started within me that may have the most significant impact on my work and my life.